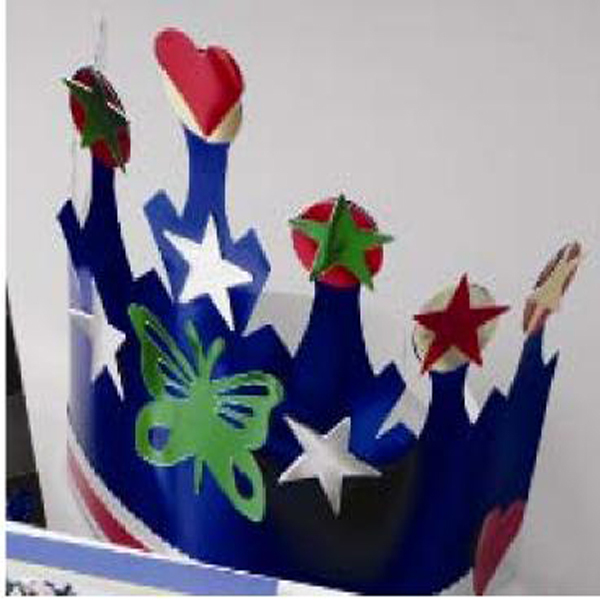 Project Description: Crown your little prince or princess with their very own custom crown made from Grafix Metallic Foil Board. Choose a color of Metallic Foil Board for the base of your crown. On the reverse side, draw a design for the crown and cut along the lines. Using the remaining colors of Metallic Foil Board cut shapes free hand, or use any decorative punches you have to punch out shapes. Apply the shapes to your crown using your glue stick. Size the crown to your head and secure with one or two staple to hold it tightly.